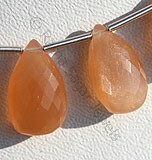 Moonstones usually get their name from their special shine and charm; the gems have the property to change their appearance if it is moved. 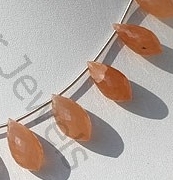 While the beauty of the gemstone is something that you won’t choose to miss out on yet most of you will hesitate to buy the one for yourself. 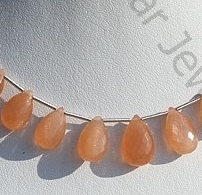 ‘Orange Moonstone’ might somehow be an end to your dilemma and you will buy this beautiful gemstone in absolutely no time. 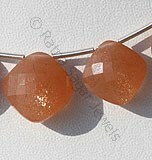 The hardness of the moonstone usually varies from 6-6.5 and it may transparency of the gemstone may range from transparent to translucent. 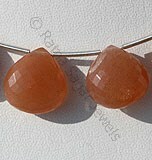 There’s not special zodiac sign associated to the gemstone yet the mesmerizing color of the gem influences you. 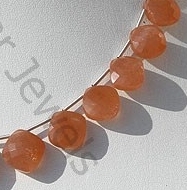 The stone is categorized to be less powerful than the white moonstone, but it is something that you can depend on when you are really in need of a stone like that. 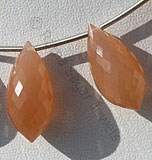 However on a daily routine basis this gemstone can be used in accessories that make you look elegant and amazing. 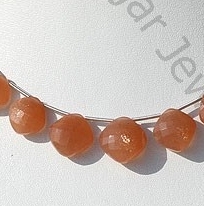 Ratna Sagar jewels has recently introduced this gemstone for all the gemstone lovers like you and has also made sure that you can choose from a variety of shapes. 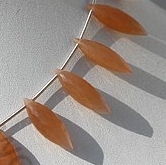 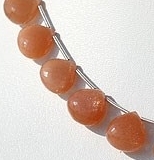 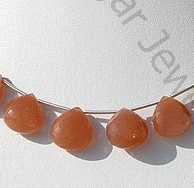 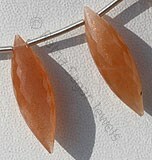 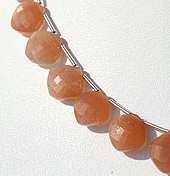 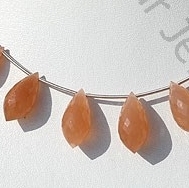 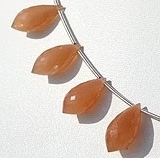 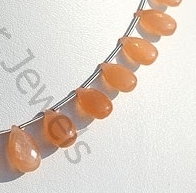 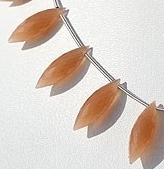 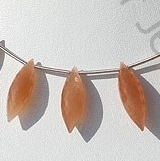 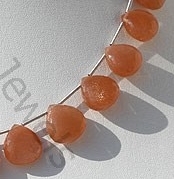 Plus, you will get orange moonstone beads at unbelievably affordable prices. 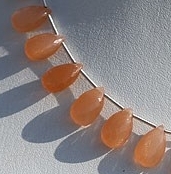 Natural Orange Moonstone possess property of transparent and are available in Orange Color with silky sheen with micro Cut, Chandelier shape.